While neither particularly sunny nor melancholy, Days is packed full of mellow guitar lines and Martin Courtney’s hazy vocals which stay true to the band’s chillwave aesthetic first seen in their debut album. Collectively, the ten songs comprising Days feel unified by the subtle theme of nostalgia suggested by the title itself and Courtney’s lyrics, which find him looking backward in time. The uptempo melodies in “Wonder Years” provide a cheery disposition to a song about reflecting on a failed relationship and feeling indifferent about the outcome (“I’m not yours and you’re not mine/ And I’m not okay but I guess I’m doing fine”). In terms of thematic comparisons, Days is similar to Arcade Fire‘s The Suburbs as both albums explore changing times through an observing tone with slight dissatisfaction and unease. “Three Blocks” departs from the past and focuses on the present and future as Courtney finds himself moving in a decisively forward direction based on some significant event or life decision (“Walking slowly up those three blocks/ things won’t be like they were before”). 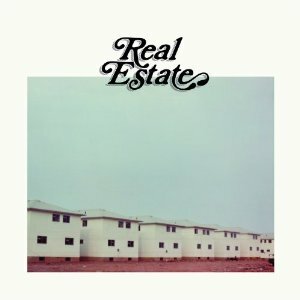 You can’t help but think about your own life as Real Estate‘s breezy laid back vibe provides the soundtrack to the the memory reel in your mind. Though all of our memories of days gone by may not be particularly happy, Days manages to get us looking backward through rose colored glasses, spurring a little half-smile and feeling of contentment.